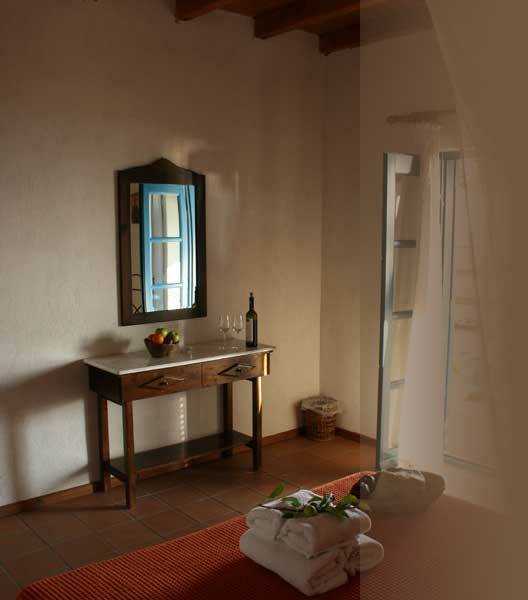 The upper floor rooms, with chestnut wooden ceilings and balconies are similarly furnished and equiped, offering a splendid open view over the deep blue sea. All room types are equiped with bathroom with a shower stall, hair dryer, air-condition, mini-bar, direct telephone-line connection and mosquito nets. An additional bed for a child is possible. TVs are deliberately excluded from this serene set up. The daily room service is impeccable and friendly. As part of our environment-friendly strategy the linen is changed every two days. Likewise all cleaning products used are biodegradable.